It was an incredible sight. The rainforest reaches all the way down to and covers the sugar white beach, tropical birds were everywhere to be seen. But I didn't have the time to enjoy it. (I was hoping for twilight and here we were in full daylight). I had to get my dinghy out and inflate it in a hurry. Both of them had thrown their bags, in which they kept their clothes, overboard. Instead, they were now wearing them all and looked a little bloated. The neighbour boat was awake and saw us getting into the dinghy and sailing to shore. He was French and didn't look particularly pleased. Surely he had figured out what was taking place, so I was urging to get it over with and get away. And I know: It's idiots like me who are to blame for the authorities often being suspicious. I'm not the only one doing it though, and after all it's not a popularity contest. As as a matter of fact, I understand why these guys are doing this. Moreover, I can quite easily use the money. When we reached the sandy beach, the guys didn't want to get out: "We'll get our feet wet....". I was standing in water up to my ankles and was trying to pull the dinghy to shore, when the problem solved itself. A giant swell hit the dinghy and knocked it over, which left the guys soaking wet in all layers of clothing. Joseph was lying beneath it, making funny sounds. Right there, I believe they would have rather gotten their feet wet, but that was the choice they made. I quickly packed up the dinghy and got the anchor up. And got nowhere!!! I came in using sail, and now there was practically no wind to help me get out of there. 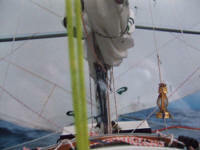 After what felt like an eternity, I was able to set a northern course towards international waters. 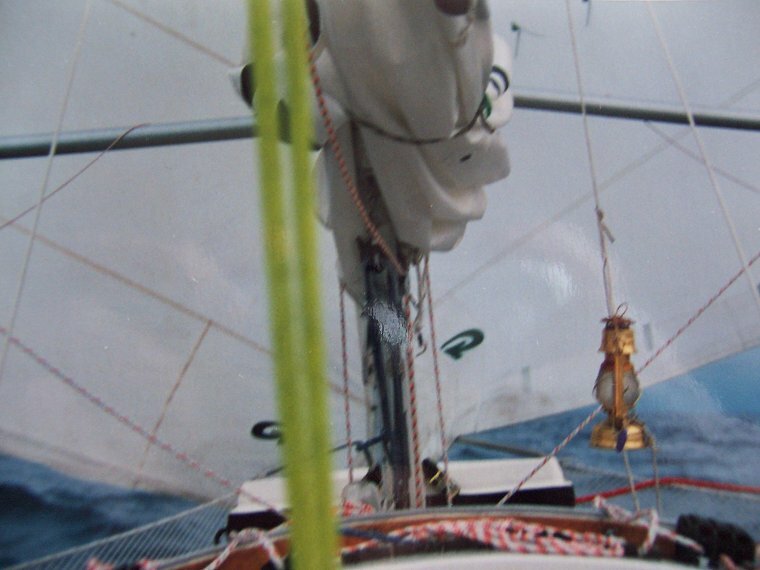 15 miles out I changed course, now headed for Bonaire and a five day navigation was ahead. It was really nice to be on my own again. Life at sea is really simple. 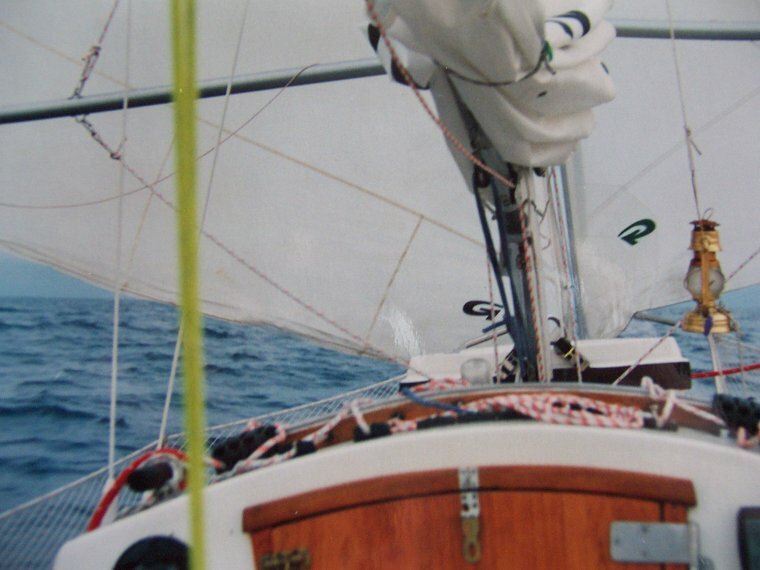 When you have sailed for some days and found your rhythm, I feel like I could go on "forever". 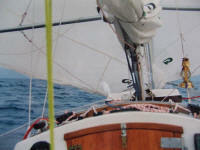 Sailing is much easier than going ashore, with all the work and hassle that comes with that. What's going to happen out there and when will I arrive? Let happen, what happen will - 'cause now I'm home. J.H.